I’ve heard Coleman-Deming Route on Mount Baker be described as a “walk-up” numerous times. While this may indeed be technically true, I personally consider a climb that involves more than 7,000 feet of elevation gain in about 5.5 miles, partly on glacier, slightly more than a “walk-up.” I suppose that even if that this route is a walk-up to some, it is a pretty steep and long walk up! Mount Baker is a common training ground for those planning to attempt Mount Rainier for good reason – all routes on Baker involve significant elevation gain, snow and ice travel and ample training opportunities for those that wish to practice ice axe and crampon skills. Baker is a top-notch mountaineering experience in its own right, not just for training purposes. Summits on Baker aren’t too easy to come by. 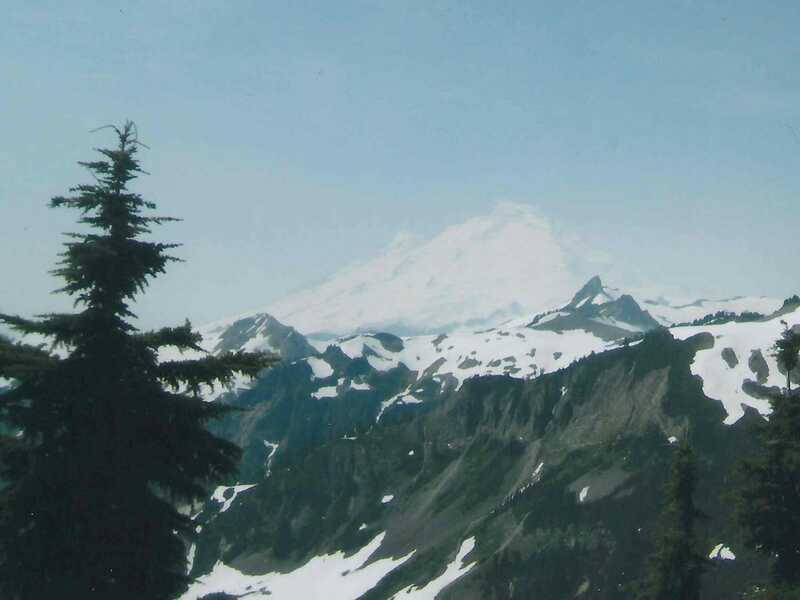 Like all routes on Mount Baker, a mountain known for snow, snow and more snow, the Coleman-Deming Route involves glacier travel and, thus, self-arrest and crevasse-rescue skills are recommended for all climbers. The route starts at an elevation of approximately 3,700 feet and ascends the northwest corner of Mount Baker. Note: If you’re early in the season, the road could still be closed prior to the trailhead. This can add an additional 1 to 3 miles each way. The route begins at the Heliotrope trailhead, which sits at an approximate elevation of 3,700 feet. So, once you set foot on the Heliotrope Ridge Trail and begin your ascent, you’ve got just over 7,000 feet to ascend to reach the summit. Follow this trail until you reach the fork that will take you to either Glacier Overlook (the left) or to the Coleman Glacier (to the right). Take the right and head up the Coleman. Expect to reach the start of the glacier near the 6,000-foot mark. The majority of the route is a slog up the Coleman Glacier – to approxmately 9,000 feet. The remainder of the route is on the Upper Deming Glacier. Ascend the Coleman Glacier to Heliotrope Ridge and then continue mostly eastward toward the saddle between Mount Baker and Colfax Peak. At this point, traverse mostly east toward the Roman Wall. From the ridge heading toward the Roman Wall, join the upper Deming Glacier to the summit plateau and battle up the remaining portion of the climb. Be sure to head to the northeast corner of the plateau to reach the true summit of the third-tallest peak in Washington.